Sometimes life can get crazy. There is so much hustle and bustle and everything needs to get done as quick as possible. It can get overwhelming. Sometimes it’s nice to slow down and relax to get a better perspective on life. The outdoors are a great place to do some relaxing. Here are 6 relaxing things to do outdoors to reduce stress. Bird watching is a relaxing activity that can be done with the whole family. It helps you learn about birds and it takes stress away. Birds are carefree and beautiful and watching them allows you to take some time to reflect on your life. Have your kids help you spot different species and you can all learn something together. Watch a mother bird build a nest and have eggs! You’ll learn so much and enjoy having some time all to yourself. Yoga is designed to help reduce stress and relax. 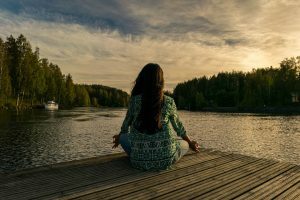 Outdoor yoga can provide even more rest and relaxation. You’re able to feel and hear the wind, as well as hear birds and other wildlife. Outdoor yoga helps you feel like you’re one with nature. Take some time out of your day to be with yourself and slow down. Hiking is great exercise. Exercise reduces stress, so does being outdoors. Hiking is the perfect activity for people that are having problems with increased stress levels. Instead of focusing on just getting to the destination, concentrate on what you see along the journey. Notice the trees, animals, and plants. This will help you have a better appreciation for the things around you. Try painting even if you’ve never had any experience doing it before. You don’t need to be an expert to give it a try. Learn as you go. You can do watercolor or acrylic paints. Don’t try too hard to make your painting look perfect, just paint whatever comes to mind. Painting what you see will help you notice the landscape more and have a greater appreciation for it, all while reducing stress. Set up a projector and watch a movie outdoors. It’s a lot more fun than watching one indoors! Grab some blankets and pillows and have everyone cuddle up next to each other to watch a great flick. Being outdoors provides a change of scene and lets you just have fun watching a movie with friends or family. Find a comfortable spot to sit and read a new book you want to try, or a classic book you already love. Let yourself be transported to another place and be fully engaged in your book. Being outdoors gives you another element of relaxation. 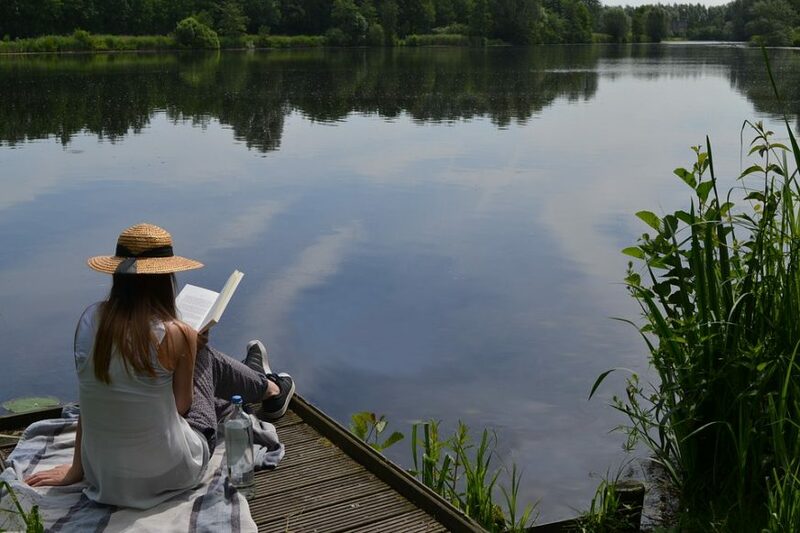 Reading outdoors can improve anyone’s day. There is so much going on in today’s world. People hardly ever stop to relax and reduce their stress. Everyone is constantly on the go. If you’re feeling like everything is stacking up, take some time out of your day to try one of these outdoor activities. You’ll feel better and you’ll start feeling your stress levels go down in no time.